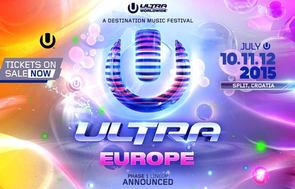 Officially the largest electronic music festival in Croatia’s history, Ultra Europe recently released their Phase One lineup of this year’s event. Headlining will be DJs such as Afrojack, Alesso, Armin van Buuren, Axwell ^ Ingrosso, Carl Cox, The Chemical Brothers (Live), David Guetta, Knife Party Martin Garrix, Nicky Romero, Steve Angello, Tiësto and Zedd—all performing at Poljud Stadium in the coastal city of Split. The Chemical Brothers will play their live show for the very first time in Croatia, whilst Size Records head honcho, Steve Angello and Zedd will also make their debut appearances at the festival. Armin van Buuren and Nicky Romero will be resuming their duties on the Main Stage for a third time in a row and Carl Cox will also be making it a hat-trick of appearances in Split as he hosts his Carl Cox & Friends stage. 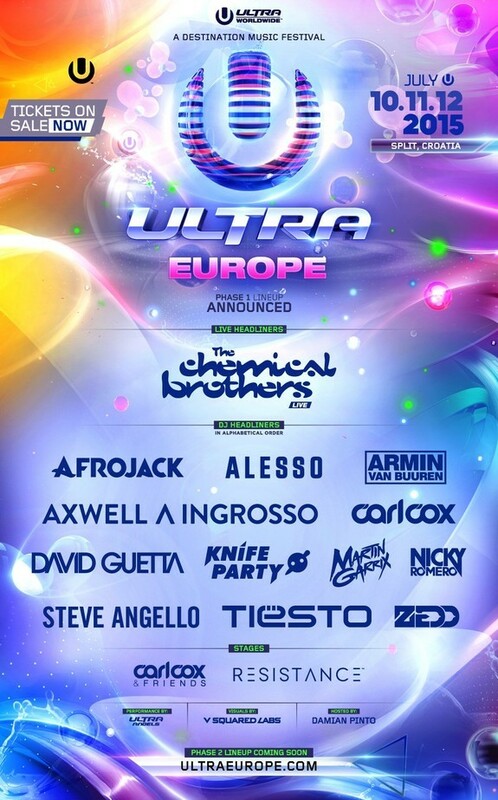 Having payed the Poljud Stadium and the Ultra Beach event last year, Afrojack returnes, while Sebastian Ingrosso and Axwell bring their new Axwell ^ Ingrosso performance to Ultra Europe for the first time. Furthermore, Alesso, David Guetta, Knife Party, Martin Garrix and Tiësto will each make their second consecutive appearance on the Main Stage. Check the video below, for tickets and further information check www.ultraeurope.com.